Eleven-year-old Alex Petroski loves space and rockets, his mom, his brother, and his dog, Carl Sagan - named for his hero, the real-life astronomer. All he wants is to launch his golden iPod into space the way Carl Sagan (the man, not the dog) launched his Golden Record on the Voyager spacecraft in 1977. From Colorado to New Mexico, Las Vegas to LA, Alex records a journey on his iPod to show other lifeforms what life on Earth, his Earth, is like. Like every other hobbit, Bilbo Baggins likes nothing better than a quiet evening in his snug hole in the ground, dining on a sumptuous dinner in front of a fire. But when a wandering wizard captivates him with tales of the unknown, Bilbo becomes restless. Soon he joins the wizard’s band of homeless dwarves in search of giant spiders, savage wolves, and other dangers. Bilbo quickly tires of the quest for adventure and longs for the security of his familiar home. But before he can return to his life of comfort, he must face the greatest threat of all - a treasure-troving dragon named Smaug. In this fantasy classic, master storyteller J.R.R. Tolkein creates a bewitching world filled with delightful creatures and thrilling dangers. Narrator Rob Inglis will hold listeners of all ages spellbound with his skillful portrayal of hobbits, dwarves, and enchanted beasts. Being a fan of the world of Middle-Earth since I was about ten or so, I was delighted when in Middle School I discovered the unabridged audiobook recordings produced by Recorded Books. As with most of what RB does, they picked the perfect narrator. British stage actor Rob Inglis does an excellent job of bringing the many characters to life, in this case Bilbo and Thorin and Company, not to mention the many characters they meet o their quest to recover the Dwarves' treasure. And unlike most narrators, Mr. Inglis actually sings the many songs sprinkled throughout the story and, while he doesn't always choose what I would consider the right tune for all the given songs, he does have a good tenor. His regular narration style is also extremely pleasant on the ears, and his pronunciation of the names of characters and places is also excellent. Needless to say I was extremely disappointed when Audible removed these recordings from their site some years back and extremely delighted a few days ago when I discovered they'd made them available once again. I used this month's two credits to buy The Hobbit and Fellowship of the Ring and plan to use next month's two to buy the remainder of the story. 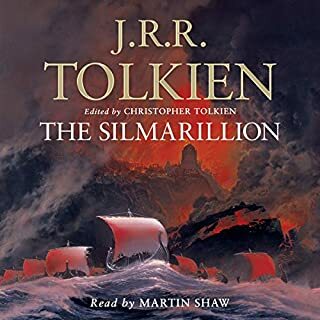 If you're a fan of the Lord of the Rings and were disappointed or at least not completely satisfied by the other adaptations out there, you may just be in for a pleasant surprise if you give these unabridged productions a listen. It's much more convenient having them available in digital format since you won't have to worry about tapes or discs wearing out, which they inevitably do eventually. I just need to get myself a bigger IPod. I read this book the first time many years ago. I was hooked instantly, and went on to read the Lord of the Rings Trilogy. I have loved these books ever since. It was great this time 'round to have it read to me by a fabulous narrator. As I have read other reviews, I was struck by how many people were lucky enough to have a parent read this to them as children, or to read it along with a parent. I did not have that experience and am envious of it. So having Mr. Inglis read it to me is second best. That is not to say his reading is anything but amazing! and I also loved his singing of the songs. I want to believe he made the melodies up himself. All in all, I was charmed again by this book, by the characters, the journey, the deep meaning, and the flow of Tolkein's writing. I rarely reread fiction, but this one is, and will be in the future, and exception to my rule. I read this as a child and wanted to revisit it now as an adult and I'm so glad I did. I had forgotten a lot of the details and the depth of the story. It was nice to listen to it this time because it gave it a different perspective. What a classic what a treasure. Victory after all, I suppose! There are a rare handful of children's books and fantasy novels that definitely deserve to be experienced in different ways (books, movies, audio) and at different times (youth, middle age, etc). I remember my first exposure to this wonderful piece of high fantasy as a child. I loved the world Tolkien created and the way he was able to balance fantasy, poetry, humor and drama. 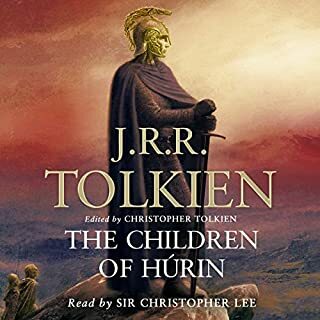 I read it again during the whole 'Lord of the Rings' (LOTR) movie period, and now I've just listened to it on Audible with my own kids in anticipation of taking them to the movie. Wow! When judging 'the Hobbit', it is tempting to grade it straight against the LOTR trilogy. There is a trap, however, in reading 'the Hobbit' AFTER reading the LOTR. While these works by Tolkien are obviously related, they are very, very different. Tolkien's approach, tone, style and intended audience was a different. If you separate LOTR from 'the Hobbit', gently, it is easier to see the greatness of 'the Hobbit' on its own. As an adult, I now view 'the Hobbit' more as a Bildungsroman rather than a traditional quest novel. Listening and reading this with my kids, I found myself once more transported not just to middle-earth, but back to my own youth and innocence. Everything is great...except the songs!! 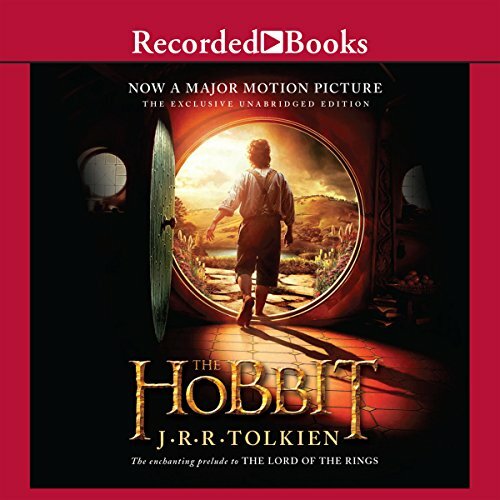 Where does The Hobbit rank among all the audiobooks you’ve listened to so far? The Hobbit is an all time favorite. Great narrating too...except for the singing!! Dear God, I've never heard such tone-deaf, tuneless singing. Tolkien's songs have such beautiful lyrics, and can be read as poetry. I wish the narrator would have taken that approach. I've lost count of the times I've read the Hobbit, but picked it up on audio with the deal of day. What a delight! I'm so happy to add this to my audio library now. 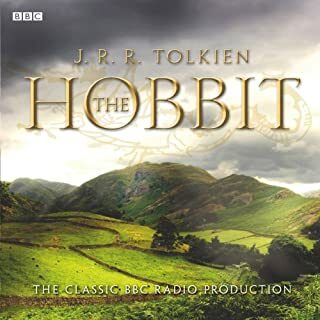 The master, JRR Tolkien never fails to enchant and this is a really nicely done audio with the songs actually sung and special, fitting voices for the sweet, the mysterious, and the scary inhabitants of Middle Earth. If you have read it before, try it again on audio. If you haven't read it, why not???? Great for audiences of any age. 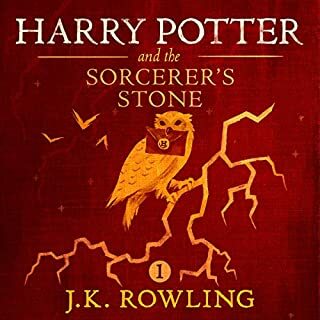 I am so glad that this is finally available on Audible! The book is one of my favorites, great all ages. Full of elves, dwarfs, dragons, wizards, goblins, giant spiders... Absolutely fun and engrossing. I love the narrator as well. He brings the characters to life and his voice is very pleasant to listen to. Anyone can, and should, enjoy this book. It was written for everyone! As another reviewer said, this is a book (and series) that defined the genre of fantasy. I can't wait to listen to all of them. And THANK YOU Audible for, when finally releasing the series, and knowing it would be popular, having each book only 1 credit. Certainly worth more, but it means that people who haven't read these amazing books are more likely to take the leap and find themselves enchanted. I plan on fully enjoying the next 65 hours and 17 minutes of my listening. What can I say? The story's almost incomparable, so let me switch to commending Rob Inglis' performance. I tend to shy away from dramatizations, but Inglis' delivery is mostly narration. He does just enough variation in delivery to make the characters distinctive without resorting to silly vocal tics. It's masterfully done and a great example of how a good narrator can enhance a book just as easily as a poor one can ruin it. 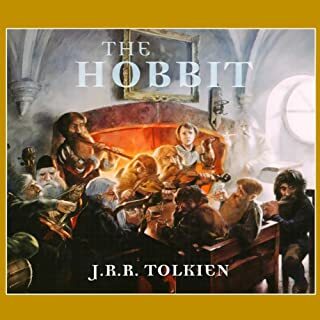 Rob Inglis's narration is clear and crisp with characters finely enunciated--from the individual dwarfs to Bilbo, from Gandalf to the spiders and the dragon! This reading is better than any dramatization (although there are some good ones) because it combines the best of narration with the value of the unabridged text. Inglis also sings the poetry--haunting and stirring melodies performed beautifully. In a way, Inglis paints the text vocally in the manner that Alan Lee painted the text visually. 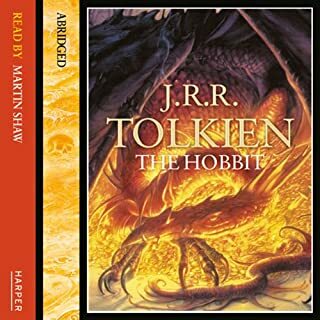 I am thrilled that audible has made the recordings of The Hobbit and The Lord of the Rings series available in the US. Worth every penny/credit!! What a comforting audiobook. How nice it is when you buy an audiobook that repays you with a great story and a comforting and riviting reader/actor. I had never read "The Hobbit" before so I had only a vague familiarity of the characters to start my literary adventure, but let me tell you how wonderful and exciting it was to go along with Bilbo, Gandalf, (and the Dwarves) Thorin, Fili, Kili, Dwalin, Balin, Oin, Gloin, Ori, Dori, Nori, Bifur, Bofur, and Bombur. We met up with the Elves, Wargs, Goblins, Trolls, Humans and Smaug the dragon who lives in the Mountain that he had stolen from the Dwarves many years before. Oh I miss it already. I guess it's a great thing that I have a bad memory so I can enjoy this one again before too long (LOL). I refuse to spoil the story for you so I will have to leave off after adding that I hope you give this book a chance, that is only if your up for a grand literary adventure.